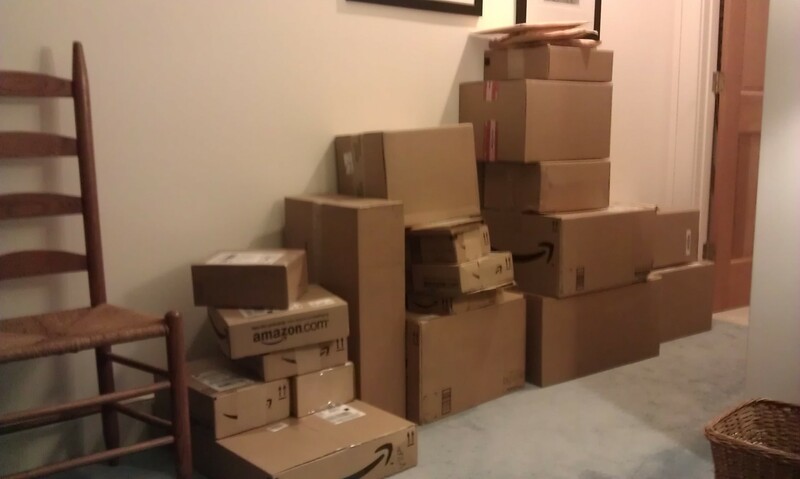 25 boxes…presents I had sent to my Dad’s house. Yes, I have to wrap them all tomorrow! !